teaching | Hire a UW-Madison Musician! Academy of Sound based in Oregon, WI is expanding to a new community. Experienced piano lesson teacher needed for 5-9 students in Jefferson County, WI. Tuesdays beginning Sept 15th. Write to office@academyofsound.org for information. Musical Pathways Foundation’s, Elite Artistry division, is looking for two part-time Piano and/or Voice Instructors to join the team as independent contractors. 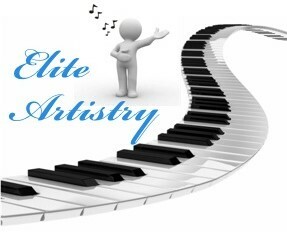 We are currently fully booked with a waiting list, and our Elite Artistry year begins in September through May. We do all of the ADMN work so you can enjoy doing what you do best – teaching! If you have a home studio we could also schedule lessons on Monday, Thursday, or if you prefer weekends we could accommodate that as well. Teach in family’s homes. Yes – some families prefer for their lessons to take place in their homes. This is an option as well, especially when there are 2 to 3 children taking lessons. Any combination of the above. Click to read more about our program and for our 2015-2016 calendar of weeks we will be teaching. We have 28 lessons over 9 months, 2 Recitals: December and May/or June (depending on Calendar year), and 6 All-Studio Master Classes (no private lessons on master class weeks). Our degreed instructors make $75/month per student net (after rent/overhead), averaging @$24 for the half-hour lessons. If working with an inspiring curriculum and a dynamic and caring team sounds exciting, then this is for you! Call right away (608) 576-6688, and we will build a studio FOR YOU in no time! The Piano Gal Shop (Sun Prairie) has recently added a studio space to our store and we’re looking for a piano, voice, guitar, and strings teacher to teach out of the shop. The teachers could teach all or just some from our shop. We get MANY inquires for teachers, so teaching in our location will guarantee more students. We also have a recital venue in our store, and teachers that rent the space will get 2 recitals at the shop included in their monthly rent. This is not a contractor or employee position. Teachers can recruit their own students, charge their own tuition etc, they just need to meet our teaching criteria and pay the rent.